MINNEAPOLIS - Trix lovers from the 1990s are rejoicing as the cereal is going retro. General Mills on Monday announced it is bringing back Classic Trix Fruity Shapes. The shapes first appeared in 1991, but the company returned the cereal to its original round shapes in 2006. The company says it has seen more than 20,000 requests in the last 18 months to bring the shapes back. 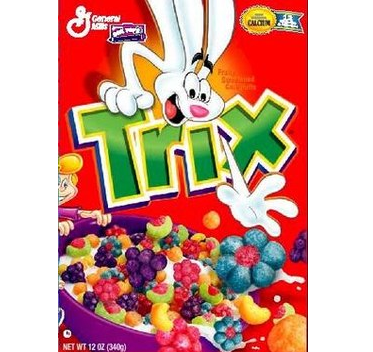 General Mills Cereal marketing director Scott Baldwin says Trix was the first fruit-flavored cereal that was colorful and fun when it was launched in 1954. Classic Trix, featuring the bright colors the cereal was known for, was relaunched in 2017. Classic Trix Fruity Shapes hit store shelves this fall.